Hotel Esplendid is located 200 meters from the S’Abanell beach, not far from the centre of Blanes. The rooms are nicely furnished and equipped with bathroom, air conditioning, Satellite TV, telephone and balcony. The complex features a great buffet style restaurant, several thematic bars, fitness centre with gym, sauna, tennis, squash, indoor pool and hairdresser. There is also a nice sun terrace with swimming pool, sun beds and pool bar. This hotel sponsors various sports teams and is characterized for being possibly the only hotel in Europe that does not serve alcoholic beverages. ** Please note that some of the above facilities may be closed due to weather / seasonal conditions. At Hostal Miranda, enjoy a satisfying meal at the restaurant. Wrap up your day with a drink at the bar/lounge. Breakfast is available for a fee. Make yourself at home in one of the 76 air-conditioned rooms featuring LED televisions. Rooms have private balconies or patios. Complimentary wireless Internet access keeps you connected, and satellite programming is available for your entertainment. Private bathrooms with bathtubs feature designer toiletries and bidets. Featured amenities include multilingual staff, luggage storage, and laundry facilities. Limited parking is available onsite. With a stay at Hotel Pi-Mar in Blanes, you'll be within a 15-minute drive of Fenals Beach and Monastery El Convent in Blane. 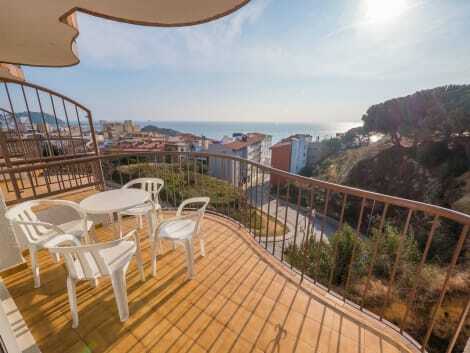 This beach hotel is 5.3 mi (8.6 km) from Lloret de Mar Beach and 5.4 mi (8.7 km) from Santa Susanna Beach. Relax at the full-service spa, where you can enjoy massages and facials. You can take advantage of recreational amenities such as an outdoor pool, a spa tub, and an outdoor tennis court. Additional amenities at this hotel include complimentary wireless Internet access and concierge services. Pamper yourself with a visit to the spa, which offers massages, body treatments, and facials. You're sure to appreciate the recreational amenities, including an outdoor pool and a sauna. Additional features at this hotel include complimentary wireless Internet access and a television in a common area. 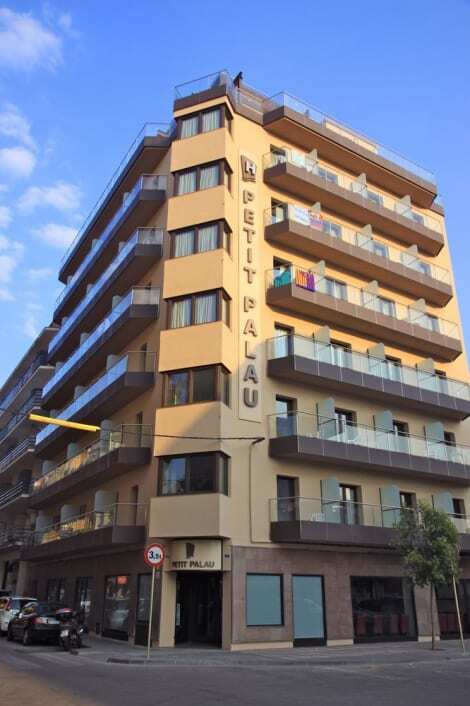 BLAUCEL is a modern 4-star hotel located in Blanes, important touristic and old fishing center in Costa Brava, is connected to the town by a picturesque promenade. Located facing the sea and separated from the beach by a pine forest, our hotel creates a perfect environment for family holidays or couples. Hotel Blaucel has rooms with fantastic views overlooking the sea and pine forest. In Blaucel you can enjoy the SPA with jacuzzi, contrast showers, sauna, steam bath, gym and sun terrace overlooking the sea. Its heated outdoor and inner heated pools allow you enjoy bathing and relaxation. Making use of the services of the complex, you can also enjoy the quiet pool surrounded by pine trees, the sun terrace and the children playground of the hotel Blaumar. The hotel offers large rooms for Meetings, Incentives, Conferences, and Events. Mini Club for children, animation for adults and kids with sports, live music, dancing and shows. Several facilities close to the hotel offer water sports, diving, golf, tennis, paddle and other entertainment for the whole family. The features of the hotel are fully accessible to guests with reduced mobility. Private underground parking.Distance to the beach - 100 m. Built in 2004. Total disposal of 138 rooms. lastminute.com has a fantastic range of hotels in Blanes, with everything from cheap hotels to luxurious five star accommodation available. We like to live up to our last minute name so remember you can book any one of our excellent Blanes hotels up until midnight and stay the same night.